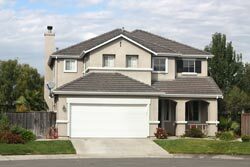 Agoura Hills Property Management, Agoura Hills Property Managers, Agoura Hills, CA Property Management Companies. Our goal is for you to have a successful rental home property management experience. We offer a full range of property management and guarantee lease services tailored to you as an investor, homeowner, or landlord. We have an extensive portfolio of single family homes, townhouses and condos in the Thousand Oaks area and neighboring valleys. The only local, long-term, professional management company to cost-efficiently guarantee the owner’s rent. This track record includes no evictions, lost rent due to non-payment, damages, past due payments or owner attorney & filing fees for over 30 years! Other beneficial features are included. Another quality standard management plan is also available. You have the right to cancel our agreement without penalty if not satisfied by the end of the first 90 days. Also, if the first resident we place vacates before the end of year one on their lease, our company will not charge you anything to find a qualified replacement resident. Secure One Properties online reviews: Yelp, Google, BBB rank at the top or very close to it. A well-run property management company must properly consider the needs of both the owner and resident. Our fully licensed management team has about 100 years of property management experience. Our company invests extensively each year in employee property management education. We are small enough to offer personal service, yet large enough (eight employees) to handle multiple urgent tasks simultaneously. If a management company or a part-time sales agent has just 2-3 employees then critical, cost-efficient services may not be available to protect your property in the moment they are most needed. Property management should not be a side-line or afterthought to an agent’s residential sales business. This business requires an ongoing effort to stay educated on landlord tenant law and industry developments. This is essential background information to know before you hire a manager. Our broker holds the Master Property Manager designation (MPM) from the leading industry training organization for small residential investment properties- National Assoc. of Residential Property Managers (NARPM). Only the top 1% of all property managers have invested the time to gain this distinguished mark of professionalism and industry knowledge. No one else locally. Our team of specialists focuses on single family homes, condos and town homes. Our systems and training are specifically designed for clients with these needs. Our full application screening process and high application standards help us select the most qualified resident for your property. Multiple property managers review an application before it is approved. It is our goal to protect your investment by selecting a qualified resident who will pay timely rent and maintain your home as agreed. This is our premium lease plan. You never have to worry again about vacancy costs between tenants or advertising costs because they are covered 100%. You just keep receiving rent checks. This is the most stress-free leasing program offered anywhere in our area. Click here for the many other extras. This lease plan includes the best parts of our platinum plan, but makes it more affordable. A portion of the vacancy and advertising costs are covered. Other features include: receiving rent even when the tenant doesn't pay, Coverage of legal fees and legal filing costs, paint coverage and tenant damage coverage. Click here for the important details. This is our clients' most favorite program. This management plan is the non-guarantee standard program. Our considerable expertise and quality service will be there for you. However, there is no guarantee coverage for nonpayment of rent, legal fees, damages, bounced checks, vacancy and unpaid judgments. The owner shoulders the financial risks in the plan while receiving our most affordable plan. Click here for more details on the features. 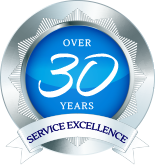 Over 30 years of successful guarantees for our owners. Since 1986, Secure One has not had any rental homeowner lose money due to eviction, bankruptcy, nonpayment of rent, damage, late payment, attorney’s fees or court filing fees. Secure One incurred those costs as necessary. (These results apply to the guarantee programs only.) We believe that this is the best guarantee available. Known as “The gateway to the Santa Monica Mountains,” Agoura Hills is a beautiful city surrounded by natural scenery. The city is on the border between Los Angeles County and Ventura county. It offers numerous recreational activities including: hiking, equestrian trails, and biking trails. Ballard Mountain and Ladyface Mountain are two prominent mountains in Agoura Hills. It’s central location places it within close proximity to the Malibu beaches… Just a quick and scenic drive through Kanan Canyon! There are numerous unique and diverse neighborhoods spread out throughout Agoura Hills. The north and the south of the city is separated by the 101 Freeway. Some of the first housing tracks in Agoura were Hillrise, Liberty Canyon, and Lake Lindero. Agoura Hills is part of the highly regarded Las Virgenes School District. Agoura Hills is also home to Reyes Adobe Historical Site, the city’s first built home built in 1850.